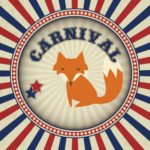 Kick off the new school year with tons of Carnival fun! Bring the whole family to meet up with old friends and new classmates. Buy a Carnival wristband and get UNLIMITED access to NEW midway games, goldfish toss, TWO bouncy houses, the Screamer Slide, and Dunk Tank. Play the games and earn FANTASTIC PRIZES!! Your wristband is also your ticket to Face Painting, Balloon Creations, Crazy Hair Spray and 3 chances at the Cake Walk. Buy your wristbands early. Bring the whole family – kids 4 and under are FREE! Snowcones, cotton candy, popcorn, pizza and hot dogs will be available for purchase. Click HERE to purchase wristbands and Fire Truck Raffle tickets!! It takes a village to make the Carnival a success! Sign up NOW to VOLUNTEER by clicking HERE for adults and HERE for teens! Show off your culinary skills or visit your local bakery and donate a cake for the ever-popular Cake Walk!